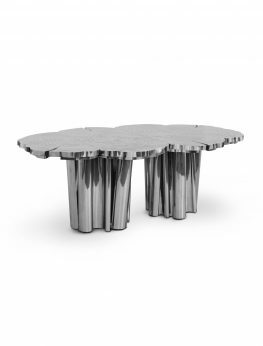 In the 70’s Ettore Sottsass designed several outstanding pieces. 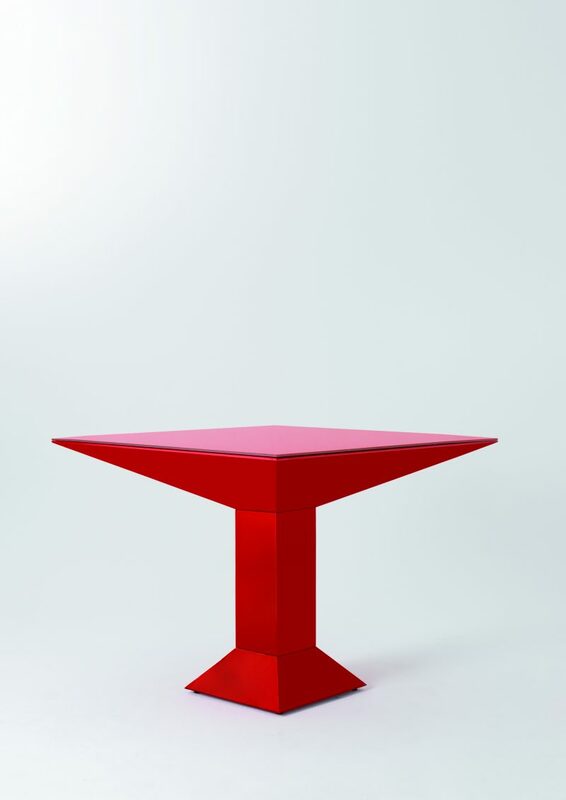 One of the first was this table baptised with the name “Mettsass”, which dates back to 1972. 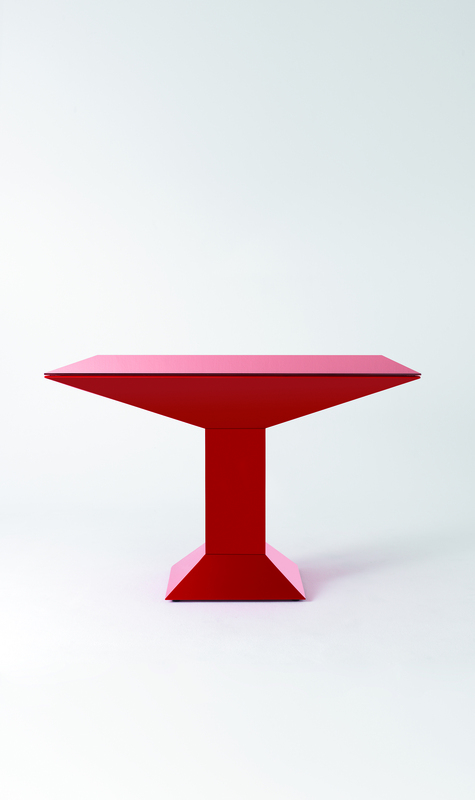 The Sottsass table has not lost its personality with which Sottsass had designed 40 years ago. 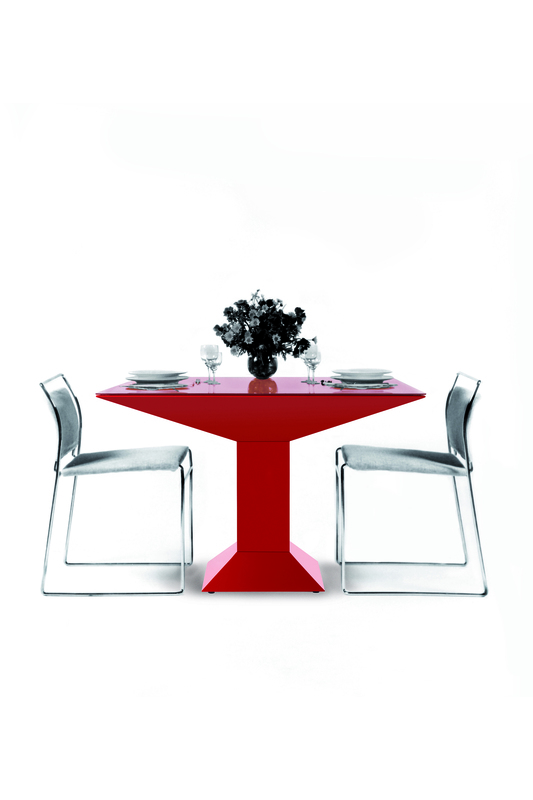 The table was reproduced with the same dimensions and colours. 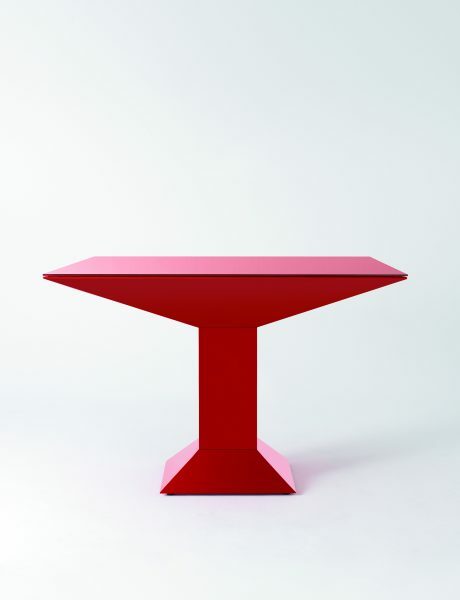 The Sottsass table structure is made of flat sheets of steel, painted in red RAL 3001. 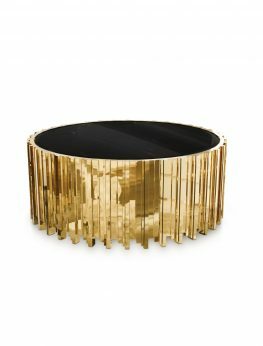 The glass is painted in the same color as the structure. 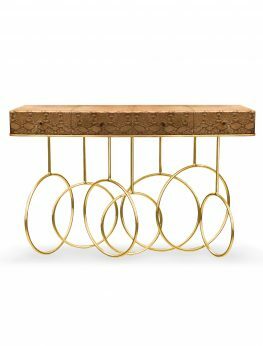 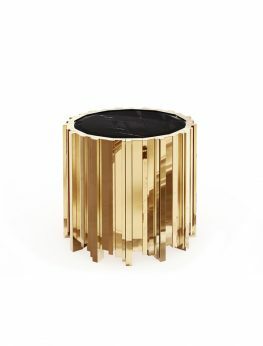 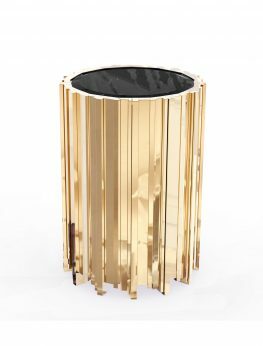 The Fortuna Dining Table is a shimmering statement piece that unites a modern design aesthetics with passion for gold. 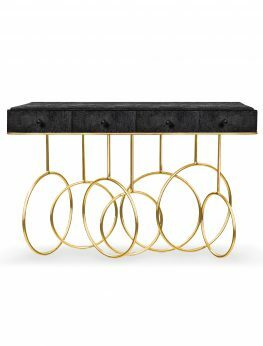 Representing the essence of empowerment, sophistication, mystics, and enticement, the Fortuna features a rare design, with a unique table surface texture and incredible finish. 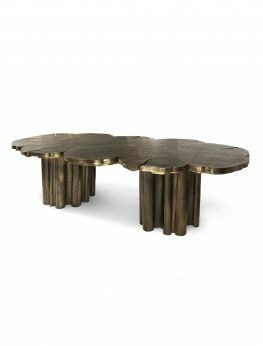 An unforgettable, luxurious dining table for 8!